Everyone should remember the West, Texas fertilizer plant explosion that occurred on April 17, 2013. On that day, 15 human beings were killed and 260 were injured. Twelve of the dead were volunteer firefighters and responders. The explosion devastated the surrounding neighborhood; three schools, a nursing home, and nearly 40 city blocks were destroyed. The reported inventory of the West plant showed 40-60 tons of Fertilizer Grade Ammonium Nitrate (FGAN) were present in the building with another 100 tons of FGAN in a nearby railcar. Also present were 17 tons of Anhydrous Ammonia , 45 tons of potash , 70 tons of Diammonium Phosphate , 25 tons of mixed Diammonium Phosphate and Potash, 60-70 tons of Ammonium Sulfate and 17.5 tons of Zinc Sulfate . I list this inventory here because 1) it states the huge amount of these materials present at the West plant and 2) this inventory is probably not much different than the inventory at any of the other fertilizer plants in the U.S.
• Lack of incident command system. • Lack of established incident management system. • Lack of hazardous materials (HAZMAT) and dangerous goods training. • Lack of knowledge and understanding of the detonation hazards of FGAN. • Lack of situational awareness and risk assessment knowledge on the scene of an FGAN-related fire. • Lack of pre-incident planning at the WFC facility. • Limited and conflicting technical guidance on AN. The report also describes several other incidents involving explosions and fire with FGAN at similar plants and facilities. The most extensive incident occurred in 1921 in Oppau, Germany where workers; using explosives believe it or not, attempted to loosen 4,500 tons of ammonium sulfate and FGAN that had caked together. The resulting explosion killed 500-600 people, injured approximately 2,000 more, destroyed 80 percent of the city and caused more than $22 million in today’s dollars . The report also describes four other incidents that highlight how fire-exposed FGAN reacts. I recommend that readers dig into this report to learn as much as possible about these incidents. • Nixon, New Jersey- Plant explosion-1924- Nixon today is so small as to be unincorporated. • Port Neal Complex, Iowa- Plant Explosion-1959- The mailing address is in Sergeant Bluff, Iowa- Population today, nearly 60 years later is only 4,551 people. • West, Texas- 2013- Plant Explosion-Population today is estimated at only 2,880 people. Two things are important to note. 1) All three plant explosions occurred in very small towns, 2) Every small town of these sizes in America is most likely protected by a Volunteer Fire Department. The first point is important because when explosions of this type occur, the number of possibly killed and injured is certainly much lower than had the explosions occurred in big cities. The second point is not made to denigrate the brave men and women who volunteer to fight fires; but suggests what may be obvious; volunteer departments are understaffed, ender equipped, and possibly undertrained- especially when it comes to handling fires and explosions of the type discussed here. As the title of this article indicates, it is not focused solely on examining the West plant tragedy, but highlights this incident because it is the most recent. 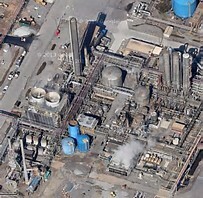 There are many more fertilizer plants in little towns all around this land. The Guardian also developed a map that depicts their locations. This article is also not intended to paint fertilizer plants as entirely unsafe, as the industry truly goes the extra mile to ensure safety. Safety is the top priority for these companies and they work together to train and educate the responders in the towns in which they operate to respond effectively should an incident occur. In the 2016 State of the Fertilizer Industry Report , the fertilizer industry states that they dedicated more than 2,600 hours to training emergency responders. If you are a responder whose department serves a community that has a fertilizer or chemical plant in it, maintain open communications and work with that company to understand what you may be faced with in an emergency and learn how to effectively respond to it. One such department is in Eufaula, Alabama. Tessenderlo Kerley, a fertilizer manufacturing company has a plant in Eufaula. Tessenderlo Kerley produces Sulphur-based liquid fertilizers, soil amendments and nitrogen stabilizers. At the Ready spoke with the LT. Deslee Galloway, the Eufaula Fire Department Training Officer about how the department works with Tessenderlo Kerley officials to ensure safety and effective response. He stated that once a year they are required to conduct a table-top exercise of what the response to an emergency at the plant would need to be. He also stated that every Eufaula Firefighter attends a safety course at the plant, given four times each year to train the firefighters on safety procedures. This training includes a written test. Material Safety Data Sheets for all the chemicals used at the plant are readily available at the Department and at several locations throughout the plant. LT. Galloway tells an informative story that other training officers can replicate in their area. While conducting a HazMat Tech class, they were visited by Eufaula’s mayor. As they stood atop a rail car, the mayor asked LT. Galloway how much of the town would be effected if an incident occurred at the plant. Using the CAMEO software suite, downloadable free from the Environmental Protection Agency, MARPLOT (Mapping Application for Response, Planning, and Local Operational Tasks) and ALOHA (an atmospheric dispersion model used for evaluating releases of hazardous chemical vapors) that come with CAMEO, LT Galloway entered the current atmospheric conditions, the type of breach; in this case a ¼-inch leak, and modeled the plume cloud, which he then overlaid on a map of the city. In this case the plume cloud extended past the Eufaula City Hall which included the mayor’s office. This was an eye-opening experience for the mayor who vowed from then on to ensure the Eufaula Fire Department had all the resources they needed to effectively respond to an emergency at the Tessenderlo Kerley plant. In summary, the fire and explosion at the West Fertilizer plant is but the most recent of many explosions since 1921. The responders to the West plant explosion lacked an incident command system, an established incident management system, were not trained on hazardous materials and dangerous goods, neither knew nor understood the detonation hazards of FGAN, lacked situational awareness and risk assessment knowledge on the scene of an FGAN-related fire, had no pre-incident planning at the West facility, and had limited and conflicting technical guidance on AN. Comparatively, the fatalities and injuries due to the explosion at the West plant were low compared to other similar fertilizer involved explosions. All the fertilizer plant explosions in the United States occurred at plants in very small towns; most likely protected by an undermanned, underfunded, and undertrained volunteer department. 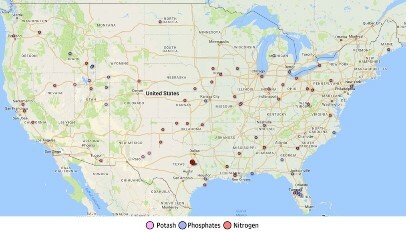 There are many fertilizer plants scattered throughout the U.S. The fertilizer industry has made great strides to train the responders in the communities where their plants are located. 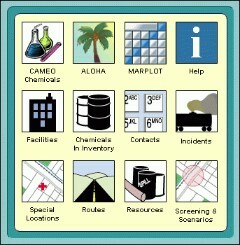 Finally, departments whose communities contain a fertilizer, or similar plant, must work with the officials at the plant to understand the hazards they may face, should download the CAMEO software suite, and use it to educate their city and/or county officials about the true hazards they will face should an incident occur at the plant. 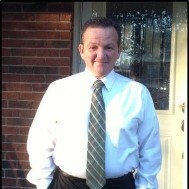 Mike Kennedy is a frequent contributor to At the Ready Magazine. He is a former Airborne Ranger Infantryman and after the Army spent fourteen years working for the U.S. Army Maneuver Battle as an Experimentation Manager, where he routinely worked with Defense Advanced Research Projects Agency, Robotic Systems-Joint Project Office, Aviation and Missile Research Development and Engineering Center and numerous other government labs to develop and test new equipment and concepts designed to make Soldier’s lives better. At the Battle Lab, Mike managed and supervised the execution of experiments, data collection procedures, analysis of raw data and presentation of results in written form for Army decision makers. He personally planned, coordinated, and executed more than 80 unmanned systems experimentation events. He holds a Bachelor of Arts in Psychology from American Military University. Mike’s professional training includes the Test and Evaluation Basic Course, Project Management, Scheduling and Cost Control, Advanced Techniques of Project Management, Fundamentals of Systems Acquisition Management, Capabilities Based Planning, Business Case Analysis, and the Army Capabilities Development Course. He can be reached at mkennedy@atthereadymag.com.